The 6-kDa early secretory antigenic target (ESAT-6) of Mycobacterium tuberculosis is strongly correlated with subversion of innate immune responses against invading mycobacteria. To understand the role of ESAT-6 in macrophage response against M. tuberculosis, the effects of ESAT-6 on macrophage generation of reactive oxygen species (ROS) and production of cytokines were studied. ESAT-6-induced macrophage secretion of monocyte chemoattractant protein-1 and TNF-α was found in a time- and dose-dependent manner. Signaling inhibition experiments indicate that NF-κB activation mediated by p38/JNK mitogen-activated protein kinase (MAPK) was involved in ESAT-6-triggered cytokine production. 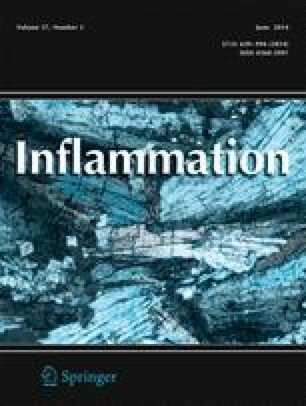 Moreover, TLR2 was engaged in ESAT-6-stimulated macrophage activation via rapidly induced ROS production and regulated activation of JNK/p38 MAPKs and NF-κB. More importantly, NADPH oxidase-mediated ROS generation is required during this process. Our study has identified a novel signal transduction pathway involving NADPH-ROS-JNK/p38-NF-κB in ESAT-6-induced cytokine production from macrophages. These findings provide an important evidence to understand the pathogenesis of M. tuberculosis infection in the modulation of the immune response. This study was supported by a grant from the National Basic Research program of China (973 Program, no. 2012CB518700).